Macduff harbour is a commercial port situated in the North East of Scotland on the Moray Firth coast. The harbour offers a vast range of facilities to a broad range of marine sectors. The harbour consists of three main basins allowing for the berthing of vessels in two of the basins. Shore power and fresh water are currently available to vessels on the South side of the harbour. 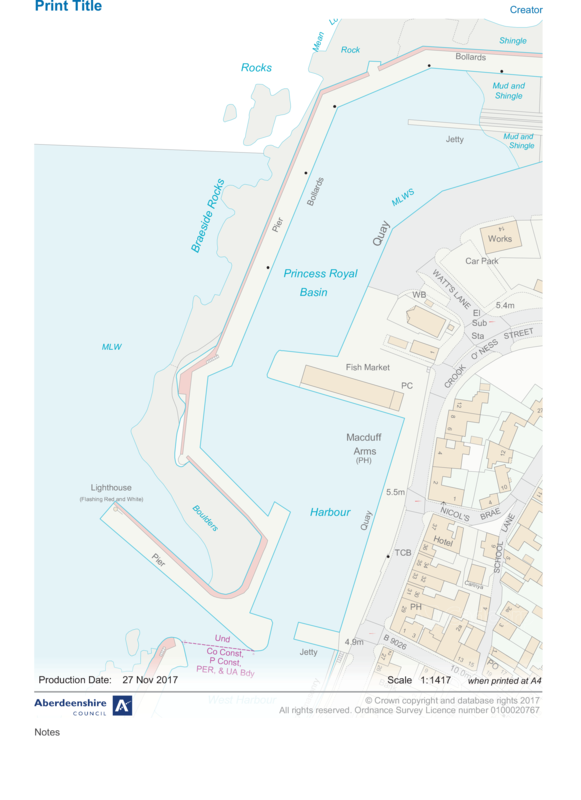 The harbour can organise bunkering by road tanker and ships stores via local ships agents the harbour has a slipway capable of accommodating four vessels at any one time and can accept a huge range of hull designs on its four slipway cradles. The harbour and slipway are protected by CCTV, night time security and harbour assistance are provided by nightwatch personnel. Non-compulsory pilotage, personnel transfer and vessel manoeuvring assistance van be provided by the harbour pilot boat. Harbour depth is 1.6 meters below chart datum. The slipway at Macduff can accommodate four separate vessels at any one time allowing for a range of hull designs to be accommodated for on its adaptable slipway cradles. There are large scale fabrication and ship repair facilities on site, along with electrical and electronic contractors. Mobile cranes are available on site along with specialist access equipment such as elevated platforms and work baskets. Shipping agents, ships painters and marine chandlery are all based within the harbour area. The harbour also has a dedicated weigh bridge facility available 24/7. Transport and stevedore services can be organised upon request. 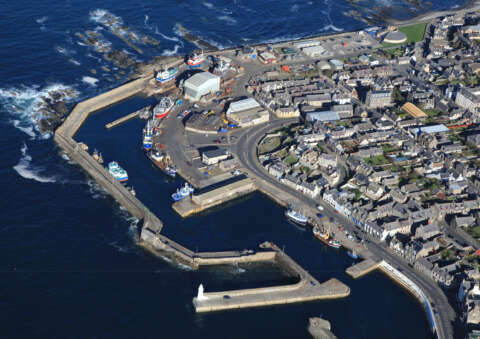 Macduff harbour has recently updated many facilities including a chill facility to accommodate and encourage fish landing. New parking facilities have been created from regenerated land. The harbour is planning to redevelop its facilities by adding vessel shore power to all berths and installing an ice facility which will pneumatically deliver ice to vessels. A feasibility study is also under way to look at the options available for deepening the harbour.